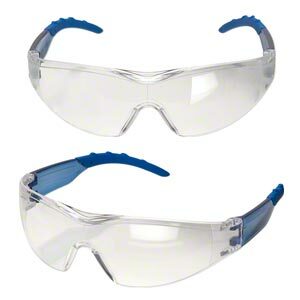 Safety glasses, polycarbonate, for use while firing with kiln and torches. Sold individually. Item Number: H20-3282TL Have a question about this item? 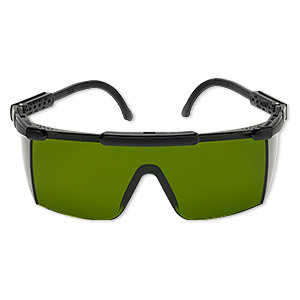 Lightweight, medium-sized safety glasses for use while firing with kilns and torches. 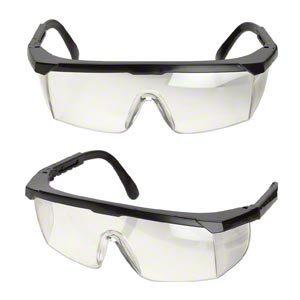 They reduce glare and filter infrared and ultra-violet light, protecting eyes from harmful rays. Frames and lenses are made of durable plastic and have protective sides. Design may vary. Weight: 0.097 pounds.